Thank you for your video submission We're sorry, something has gone wrong. Please try again. We're sorry, something has gone wrong. Please try again. 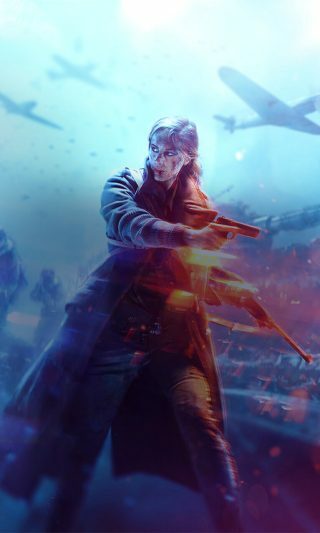 Now that you’ve got your hands on a copy of Battlefield V, we want to see your best gameplay. But simply good gameplay won’t do; we want your only-in-Battlefield moments. These are when the sandbox of massive maps, 64 players, weapons, and vehicles clash in unscripted chaos. Have you called in an improbable V-1 rocket that scores the biggest killstreak of your life, nailed a headshot while diving from the bridge of Twisted Steel, or landed a tank shell on a building that crumbled everyone inside? These are the types of only-in-Battlefield moments we want to see from you! When you experience a moment like this, submit your video below. EA and DICE will review the submissions and choose the best clips to share with the Battlefield community on our official channels. Please be aware that you can only submit YouTube links from your personal YouTube account. Your video should be set to "unlisted" preferably. You must sign in with your EA Account before you can submit your video.